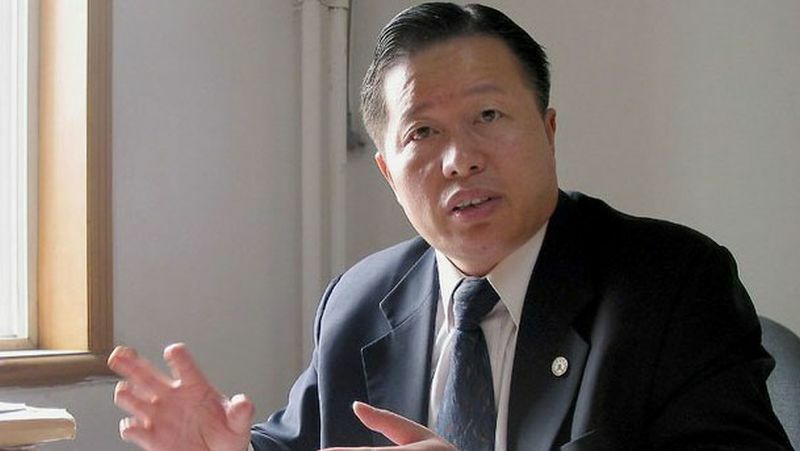 Gao Zhisheng is one of China’s most prominent human rights lawyers. He is also one of China’s most frequently disappearing dissidents: not by choice, but by the authorities. And every time Beijing’s brutal regime “disappear” Gao, he faces a gruesome fate. A year ago today Gao disappeared for at least the eighth time in twelve years. While his whereabouts are unknown, it is believed that he is held in detention. If his treatment right now is in any way comparable to how he was treated during his previous times in detention, we should be profoundly concerned for his well-being. Gao Zhisheng. File photo: RFA. 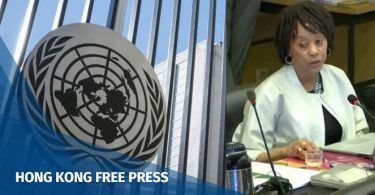 Best known for his work defending Christians, Falun Gong practitioners and other persecuted minorities in China, or for writing courageous open letters to the regime’s leaders, Gao’s personal history reads like a glossary of human rights violations: torture, arbitrary detention, enforced disappearance. In 2001, he was recognised by China’s Ministry of Justice as one of the country’s top ten lawyers – but after increased human rights advocacy, his law firm was shut down and his licence as a lawyer was revoked. In 2006, Gao was charged with incitement to subvert state power. He was given a ‘probation’ period of five years, during which he was forcibly disappeared at least six times. On one occasion, he was held incommunicado and tortured for six weeks. In April 2010, Gao disappeared again while visiting his in-laws in Xinjiang. In December 2011, state media reported that Gao had violated the terms of his probation and had been sent to prison for three years. Following his release in August 2014, his wife reported that Gao had been kept in solitary confinement without sufficient light, had lost almost three stones in weight and was suffering from malnutrition. If Gao’s was an isolated case it would be bad enough. Yet he is far from alone. An increasing number of human rights defenders have been subjected to the same abuses by the Chinese regime – perpetrated with impunity. 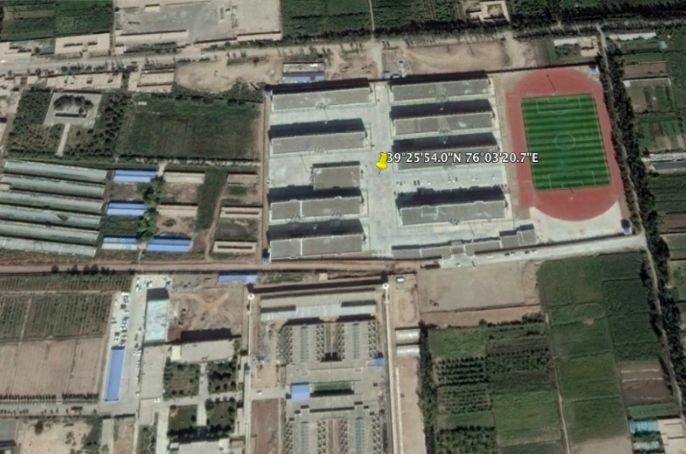 Xinjiang “Re-education Camp” No.3, Kashgar. Photo: Google Earth. Just over three years ago, more than 300 lawyers, activists, colleagues and family members were detained, interrogated or disappeared in a sweeping crackdown beginning on 9 July 2015, dubbed the 709 Crackdown. With news of their release have come numerous testimonies of physical and psychological torture. Lawyers report being violently stripped, shackled and threatened; kicked, punched, and forced to sit in a chair which would not let their feet touch the ground for up to 20 hours a day, causing extreme pain; others were force-fed medicine and deprived of sleep. In many cases torture occurred under a measure known as “residential surveillance at a designated location”, or RSDL: itself essentially a form of enforced disappearance, well-documented in a new report called The People’s Republic of the Disappeared. Individuals typically have no access to legal counsel and no contact with family members: police do not even have to tell their family where they are. RSDL exists outside the detention system and beyond any “normal” oversight or supervision. Under Article 73 of the Criminal Procedure Law (CPL), an individual can be held in a police-designated location for up to six months under RSDL. On top of this, another human rights disaster is unfolding right now in Xinjiang Uyghur Autonomous Region, where Gao was previously imprisoned. 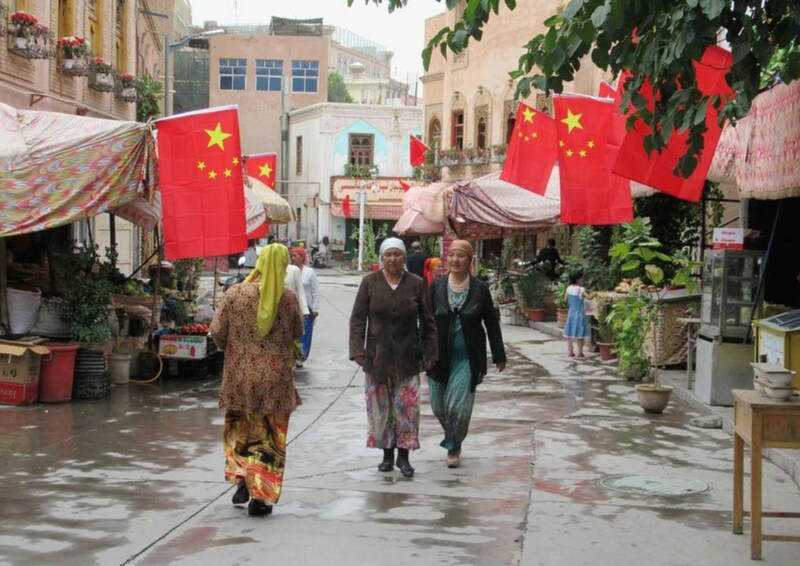 Since 2017, up to one million Uyghurs, Kazakhs and members of other Muslim-majority ethnic groups are reported to have been detained in “re-education” camps in Xinjiang. In some cases, whole families, including children, have reportedly been held in re-education camps. Witnesses report that in some areas, almost every man under 70 years of age has been sent to a camp for such reasons as having a relative living overseas or reading the Qu’ran. The families of individuals sent to re-education camps are typically not told where they are being held, or when they will be released. Individuals do not have access to legal counsel and there is no mechanism for appeal. As with RSDL, torture and ill-treatment are common and include beatings, sleep deprivation and solitary confinement. The disappearance into these camps of hundreds of thousands of people has further heightened the already critical level of fear which pervades the region. Many Uyghur Muslims have stopped public and communal religious observance and have broken off contact with relatives overseas. Gao wrote and dreamed of a China based on the rule of law, human rights and freedom for all citizens. In a remarkable commentary written before his disappearance, Gao described a human rights disaster in China, and criticised Western politicians for allowing economic interests to dictate their choices. 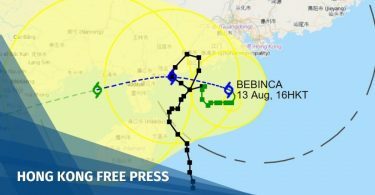 At the same time, he recognises the positive role the outside world can play in protecting rights and freedoms in China. The message is clear: if the international community refuses to acknowledge and speak out about human rights abuses, the lives of human rights defenders like Gao will only become even more perilous – and the rule of law a more distant dream. Turning a blind eye to China’s increasing repression is not only morally wrong, but contrary to our own interests, because to do business with China, investors need confidence that there is a viable legal system. Locking up, disappearing and torturing lawyers is no way to instil confidence in the rule of law. Today, as we remember Gao on the first anniversary of his disappearance, let us speak out boldly, calling for his immediate release but also for justice for all those whom he sought to represent. Benedict Rogers is East Asia Team Leader at the international human rights organisation CSW.